This is a product designed for individuals or karthas of HUFs for managing personal finances. Experience the personal touch and speedy service along with lower minimum balance requirements that come with the Adarsh Savings Account. 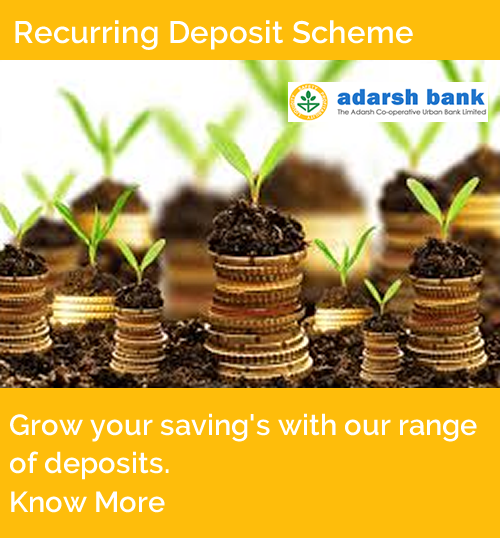 Not only can you deposit your savings into this account but also multiply your savings with higher interest rates of up to 4% p.a. Enjoy the convenience in account operation and a host of other benefits. Access your SB account in any Bank ATM across India.